Commercial insurance lines are written for business ventures. It is helpful to understand what can potentially lead to a financial loss. An experienced and knowledgeable commercial insurance agent will make you aware of your potential risks, then tailor a cost effective solution to manage those risks. Your agent is an indispensable adviser who provides guidance over the life of your business. Your trusted agent should be part of your inner circle of advisers. Most business operations are best served with a close working relationship with the commercial insurance agent and their staff. There are coverage exclusions, terms, conditions, and deductibles to be well navigated for your best protection. Reasonable and cost effective solutions are revealed by the commercial insurance agent’s knowledge and experience in the marketplace. Keeping your business up and running in the event of a disaster is your agent’s prime goal. Certificates of insurance are often required in the operation of a business. For example, a contractor may need to evidence coverage with a certificate of insurance to a condominium association in which work is being performed. 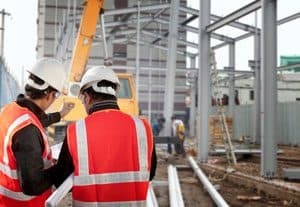 This requires the contractor to contact the agent to produce a certificate to forward to the association in order to allow admission of the contractor and the various subcontractors that may be performing work in that building. Efficiency and dependability are necessary to provide the smooth operation of a business when it comes to providing proof of insurance. Today’s insurance market can be a minefield! Insurance companies have varied appetites for risk and differing premium calculation methodologies. Rolfs Insurance Services understands these differences. We empower people with knowledge to make informed decisions for their insurance portfolios.